Thinking Pinoy: #LeilaDilemma: Ooh, Ronnie… you’re a very… very... bad boy. #LeilaDilemma: Ooh, Ronnie… you’re a very… very... bad boy. Karma is a b*tch, and it bit de Lima right in the *ss. Let’s recap what has happened so far. On Wednesday 17 August, President Rodrigo Duterte accused de Lima of having an illicit affair with her married driver, who allegedly was the drug money bagman [ABS] in the New Bilibid Prison. Several hours later, De Lima responded by saying Duterte was unprofessional, that his tirade was foul, and that she refuses to dignify that allegation [ABS]. On Thursday 18 August, De Lima claimed that the allegations were just meant to derail her investigations on alleged Palace-sanctioned extrajudicial killings [CNN]. On Friday 19 August, De Lima denied drug links, but admitted that there were “snippets of truth” in Duterte’s allegations. De Lima refused to identify these “snippets” [GMA]. Before we go any further, let’s make sure that everything is clear. First, what are Duterte’s allegations [CNN]? Driver Ronnie Dayan is or was a drug money bagman. De Lima had an affair with Dayan while Dayan was a drug money bagman. Second, how did de Lima respond? De Lima did not deny Dayan allegedly being a drug money bagman. De Lima did not deny the alleged affair. If Duterte exposed the Leila-Ronnie affair with the sole purpose of publicly humiliating de Lima, then Duterte deserves a good spanking. Thus, the second allegation – the illicit affair – was necessary to help establish de Lima’s complicity with Dayan’s actions. How can a mere driver afford a palatial home in Pangasinan? Because he sleeps with de Lima. How can a mere driver exercise so much power over drug lords? Because he sleeps with de Lima. How can a mere driver evade law enforcement for so long? Because he sleeps with de Lima. But did Duterte reveal the affair, or was it publicly known beforehand? Duterte alleges that De Lima’s illicit relationship empowered driver Dayan to commit crimes with de facto impunity. Duterte, however, was not the one who opened De Lima’s can of worms, as the affair has been known since 2014. 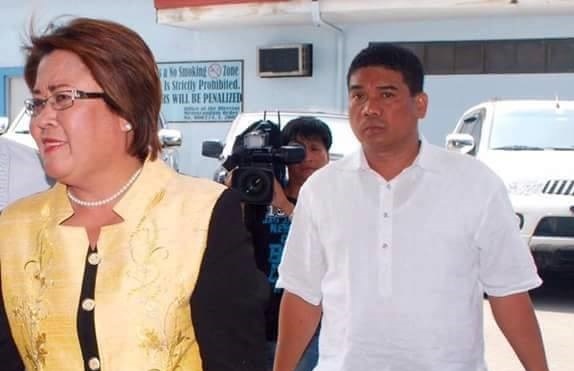 In June 2014, whistleblower Sandra Cam opposed de Lima’s confirmation as Justice Secretary, citing “De Lima’s personal life is likewise replete with controversies which overthrow her integrity as a public servant.” Testifying before the Senate Commission on Appointments, Cam accused de Lima of having illicit affairs with certain men, including “a driver” [Inq] who was later identified as Ronnie Dayan. Did the illicit affair enable the driver to wield incommensurate power and influence and abuse it thereafter? Just how powerful did Ronnie Dayan become by virtue of his copulatory links with de Lima? A 2014 Urbiztondo Pangasinan Incident gives us a clue. Village watchman Budoy Palisoc said he was in a drinking session with Dayan and three other de Lima bodyguards. Dayan got too drunk and suddenly fired his gun. Palisoc fled the area, only for Dayan and the three other bodyguards to chase him with gunfire. Palisoc managed to escape. Dayan also beat up the villagers who tried to break the fight. Unable to find Palisoc, the frustrated Dayan redirected his wrath onto Palisoc’s 74-year-old mother Perlita, held her by the collar, and threated to kill her if she will not reveal Palisoc’s whereabouts. Dayan said he can buy off Palisoc’s family if he wanted to. Urbiztondo chief of police C/Insp. Wilfredo Cabayanan said the incident was reported two hours later so they were unable to arrest Dayan, as the latter has already fled to Manila. Ronnie Dayan allegedly fired his gun indiscriminately during an incident in Barangay Dalaguiring. Investigators recovered caliber .45 bullet shells from the crime scene. PNP said charges are set against Dayan. This already sounds fishy at this point. Cabayanan said he wasn't able to arrest Dayan because he fled to Manila. De Lima said Dayan resigned in 2015 [MT], so Dayan was with De Lima the day after the incident. Why did Cabayanan fail to request NCR's PNP to arrest Dayan? Why did De Lima fail to turn Dayan in? Was the Justice Secretary so clueless about her driver's deeds? Oh, because he f*cks her. That explains a lot. PNP C/Insp. Cabayanan said the case against Ronnie Dayan lacks substance. Cabayanan said PNP recovered bullet shells but it was not enough to establish probable cause, saying that there were no witnesses to support the complaint. Cabayanan said they would verify the owner of the gun and its license, noting the permit to carry firearms outside residence in Pangasinan remains suspended. Aside from Palisoc, Dayan reportedly punched police officer Ariel Hardinoza of the Alcala town police. Dayan and Hardinoza settled the matter amicably after a talk at the police station. Complainant Palisoc is Dayan’s relative. ThinkingPinoy did a Google search on “Ronnie Dayan” news articles from 16 August 2014 up to 16 August 2016. Not even a warrant of arrest? Not even a search warrant? Not even a statement from the PNP saying the bullets weren’t Dayan’s? Not even a statement from de Lima promising a fair investigation? Is it because Dayan makes de Lima “exquisitely satisfied”? Oooh… Ronnie… you’re a very… very… bad… boy. Let’s zoom back to August 2016. “If you (Duterte) persist in your accusations that I profited from drugs because I am a coddler or protector (of drug dealers), or that I received drug money in the form of campaign funds or whatever, you will be embarrassed and I don’t want that to happen to you,” de Lima added. At last, a denial! However, it was issued four days later on the third attempt. Does she truly have no drug links, or was this statement an afterthought? From the same Manila Times report, De Lima said, “There are some who are going around Bilibid [to]access certain convicts to point [to]me as coddler of illegal drug syndicates. But there are no takers,” she said. Too many words. Just deny the two allegations for crying out loud! “These illegal things which you saw on TV… Would you think that without de Lima giving him the authority to allow the inmates to do that? All of these could have only happened if there was a go-signal from the head of the department, which is the secretary (De Lima),” Duterte said [Video]. The next several days will be more and more interesting. I will need to stock on microwaveable popcorn. File a case? Due process? Several groups decried a “lack of due process” when Duterte publicly accused de Lima. The problem, however, is that De Lima herself tacitly approves of this name-and-shame method when Aquino was in power. On 23 July 2013, De Lima said in 2013 that she saw nothing wrong with Aquino publicly naming and shaming government officials in the latter’s just-concluded State of the Nation Address. “It’s just right that President Aquino publicized his anger and frustration at those agencies in the negative list,” De Lima said in Filipino [GMA]. So how about this this other one? In March 2009, de Lima launched an inquiry into the existence of the Davao Death Squad, with Duterte as her prime suspect [Preda; Mindanews]. By September 2009, de Lima still wasn’t able to find conclusive evidence proving the existence of the vigilante group Davao Death Squad (DDS), let alone Duterte’s complicity, and the probe eventually died a natural death [Inq]. In 2012, CHR chairperson Loretta Rosales said the commission wants the Ombusdman to investigate Duterte, based on the results of the previous probe that the commission conducted on the alleged presence and operations of the DDS [TV5], still no conclusive evidence. Despite the lack of evidence, De Lima continued to hound Duterte with mass murder allegations up to this day. De Lima has accused Duterte of leading the Davao Death Squad since 2009 at the latest. Up to this day, he still accuses Duterte of such. De Lima herself admits inconclusive evidence. And now, De Lima wants Duterte to immediately produce evidence? Wow. Just wow. Leila, you have waived your right to demand that because you did it before, i.e. you told the public it's okay to accuse someone for years with no evidence. You're basically getting a taste of your own sh!t. What de Lima conveniently forgot is the fact that from March 2009 to June 2016, she was the chair of a constitutional commission and the head of the Justice Department, while Duterte was just a city mayor (or even less) at the time. Did Duterte complain about bullying? No, he fought tooth and nail to stay afloat, despite the odds being stacked against him. Senator de Lima, you should not have done unto others what you don’t want others to do unto you. Because if they do the same thing to you, that’s karma. Besides, you have never issued a categorical denial of the charges. You are a lawyer, you should know what I mean.